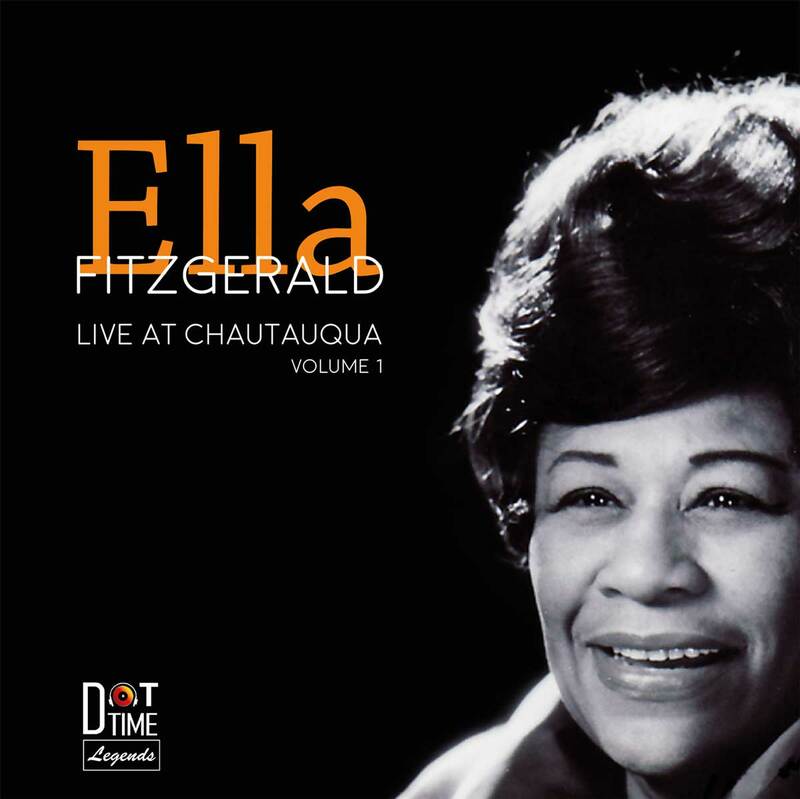 bebop spoken here: CD Review: Ella Fitzgerald - Live at Chautauqua Volume 1. CD Review: Ella Fitzgerald - Live at Chautauqua Volume 1. Ella Fitzgerald (vcl); Tee Carson (pno); Keter Betts (bs); Joe Harris (dms). Recorded on July 11, 1968 at the Chautauqua Institution Amphitheatre in New York and released as the first album of the Dot Time Legends series, we have an album that finds "The First Lady of Song" in good voice, despite the acoustical vagaries that typify concerts in amphitheatres. The opening, It's All Right With Me, sounds as though Ella was at the back and the drummer up front. The voice distant and echoing, the drums overpowering. Fortunately, by the second number - I'm Beginning to See the Light - the sound seems to have been, if not resolved, at least improved and the balance levelled out. Whether this was done on the night or, as the notes indicate, newly remastered with the goal of presenting these recordings in a modern format while striving to keep the original atmosphere of the records. Whatever, what really matters is the opportunity to hear the most swinging jazz singer ever in concert whilst still close to her peak. It's 1968 remember and singers, even those of Ella's calibre, had to face up to the challenge of rock and pop and contemporaries less than half her age. To counter this , she attempts to meet them half way. For Once in my Life, taken slower than Stevie Wonder, brings a different dimension to the song but the medley of Sunny and Goin' Out of my Head (You Go to my Head as an intro to the latter is a clever ploy) doesn't quite match the pop versions from Bobby Hebb/Georgie Fame/Dusty Springfield, although I doubt if those artists could entwine the songs the way Ella does - she even throws in Yesterday for good measure - and it got the biggest round of applause! In fairness to Ella, their versions were done in a studio over several hours, maybe even days, whereas this was live - 10 minutes! However, The Object of my Affection, never previously recorded by Ella, is La Grande Dame at her very finest. A great song, popular when Ella was 17. Watch What Happens, Midnight Sun, Lady is a Tramp and One Note Samba (fast!) all work - this is the Ella we knew and loved. A Tisket A Tasket may have been overworked by 1968 but it's still being mined by singers today! I suppose most people remember Ella Fitzgerald from the Verve songbooks, and they are GASbook masterpieces to be filed alongside the definitive Sinatra albums, but this is the real deal. If you heard Ella at Newcastle's City Hall or at any other major concert hall in in any city in the world then this will make those night's come alive again! PS: Needless to say the trio are fine apart from the problems with the drums. Now available on Dot Time Records.